So after years of my home group living in different states (and countries!) for the past few years, we were all finally in the same area once again. So we decided to switch over from mostly playing the “Living campaign” Pathinder Society to a home based campaign. 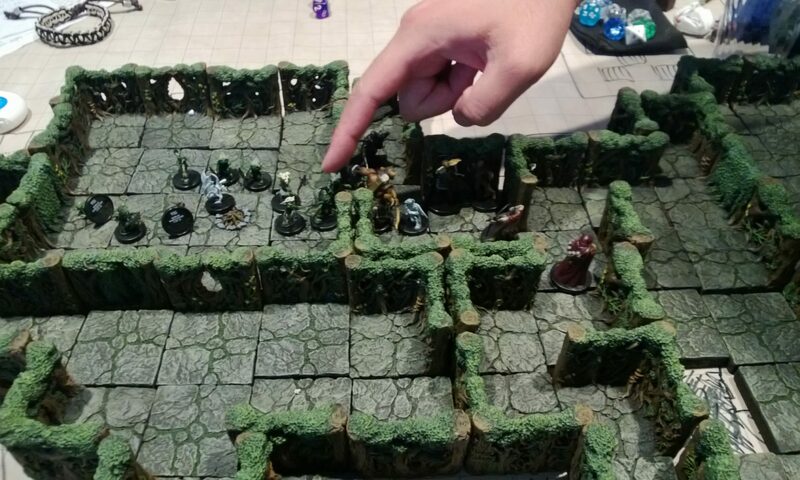 We had all heard great things about the Rise of the Runelords Adventure Path, so with Paizo’s recent release of the Anniversary Edition – which has been converted over to the Pathfinder rules, we decided to dive in! ii. Vartha was expelled from the Wind Clan of the Shoanti barbarians of the Stoval, and met Camla in his travels. iii. Camla felt a call to return home, and contacted Derrik for the homecoming. Derrik has only been back to Sandpoint a few times in his travels. iv. That pair met Vaelmorn (a drow) and Hoddin (a gnome who had escaped from drow captivity to the surface world). They were looking to find their place in this new surface world. On the way back to Sandpoint, the group hears some high-pitched shrieking and human shouts in the forest some 3 miles from Sandpoint. i. They intervene to find a group of goblins attacking one of the Sandpoint residents – the old Varisian matriarch, Madame Mvashti. They quickly intervene and drive off the goblins. 1. She tells them that she was not afraid, knowing the Mistress still has plans for her. 2. She sees times that are troubling and prophecies that are being distorted. 3. She says she sees Camla and Derik as returning home to make things right. ii. She takes them back to Sandpoint, to the disapproving glares of some of the citizens. a. Hasn’t been such tragedy since Derrik’s grandparents came and established Sandpoint – in the process having murdered her cousins – but they were fools anyways. b. Tells them of the death of Father Tobyn and his beautiful blessed daughter Naulia in a tragic fire that burned down the church – didn’t you boys have a thing for her? c. And of Jervis Stoot going crazy, killing those 30 people. d. She then reads their cards. As this is a home game, I’ve decided that I’ll be using a lot of the house rules that I’ve been working on for years. In some of the posts, I’ll be describing how these house rules have played out as well as changes I’ve made to the published adventure. I’ve spent a lot of time reading up on other GM’s experiences on the Paizo forums, and am planning on implementing a lot of the great ideas! In this first scenario, it was an introduction to the modified combat system. It went great and we had a good time. In addition, I used the Deluxe Harrow Deck for Madame Mvashti’s card draw at the end; I plan to give mechanical benefits/drawbacks depending on their draws. There’s a lot of things that I like about the d20 system – the amount of granularity makes it so that there can be a LOT of customization for how a character is portrayed. I’ve had a lot of fun playing and (mostly) running it, from 3.0 to 3.5, Modern, Saga, Pathfinder, and numerous other incarnations. Still, there were things that bothered me about it, and so I’ve tinkered with it in multiple ways over the years. Many of these changes I started implementing since my 3.0 campaign the “Frozen North”. With my home group deciding to start a campaign of Rise of the Runelords, I decided to codfiy them, and throw in all of the house rules that I’ve been using, as well as the ones I’d been planning and working on. For those that are interested, here are the major changes that I am utilizing (with probably numerous small changes)! The standard roll is NOT a d20! (Yes, for a d20 system, this is huge!). Instead, all d20 rolls (other than things like random encounters, etc) utilize 2d12. I like a bell curve much more than the linear one of a single die. In melee, the defender is also active in rolling. A base AC is no longer fixed 10, but an opposed roll from the defender of 2d12 as well.